Latics will be regretting allowing their opponents two goal starts in their recent away fixtures. Fortunately they were able to retrieve the deficit at Chesterfield although they were ultimately unsuccessful at Port Vale. But what it does demonstrate is the determination and commitment in the current squad to fight back from a losing position. The relegated team of last season rarely showed the same fighting spirit and it is unlikely that they would have shown the same determination to comeback from 2-0 down. 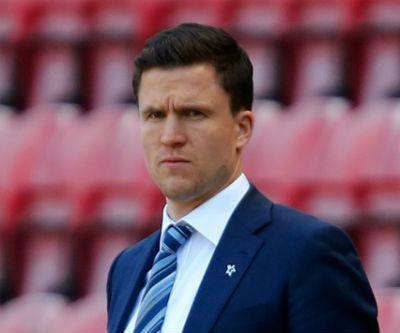 The club has been in a downward spiral following the relegation from the Premier League and Gary Caldwell has had a difficult task to turn around the club in such a short space of time. He has recruited a completely new squad but there are already positive signs that he is lifting the gloom around the club, raising the spirit and moving the club in the right direction. Caldwell has been trying to instil the same fearless ethos that was prevalent under Roberto Martinez and he will be pleased to see that the desire not to be beaten has once again started to take hold. It is still early in the season and probably too early to tell if the team will be good enough to get promotion, but the manager believes he has recruited players who have the ability to be successful. Caldwell believes that by dominating the ball and keeping possession they can control the game and get the required results. Latics are still a work in progress with plenty of room for improvement, but Caldwell has stated he will stick to his principles and he will stick to his tactics. Wigan have a big squad compared to some of the other clubs in the division and the manager feels that the competition for places will have a positive effect on performances. He believes the pressure to perform will drive the players on to better results. Caldwell has signed players who are predominantly young and hungry for success and the second half performances at Chesterfield and Port Vale would indicate that he has also signed players who have the fighting spirit and never-say-die-attitude which could prove crucial at the end of the season. This article was first published in the 12th Man column for the Wigan Evening Post on Friday 18th September 2015. This entry was posted in Chesterfield, Gary Caldwell, League One, Port Vale, Wigan Athletic and tagged Chesterfield, Gary Caldwell, League One, Port Vale, Wigan Athletic. Bookmark the permalink.